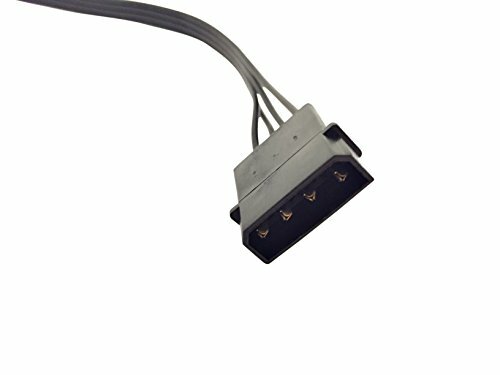 The Serial ATA standard provides for the adoption of a new 15-pin drive power connector replacing the ubiquitous 4-pin Molex connector. 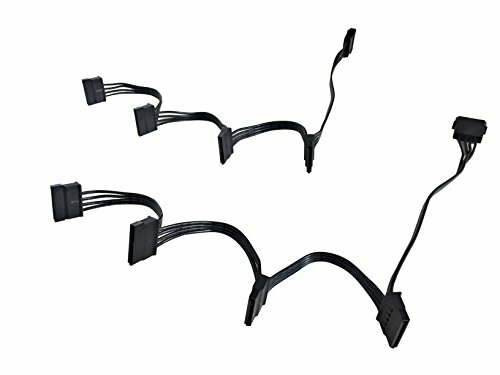 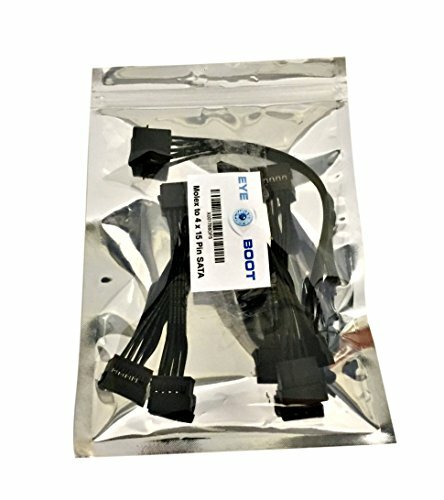 However existing system cases and power supplies may have an insufficient number of SATA power connectors while still retaining the older Molex connectors. 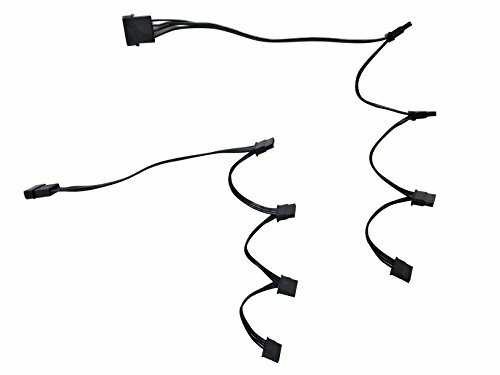 This 50 cm adapter cable plugs into a 4-pin Molex power plug and provides four 15-pin SATA power connectors. 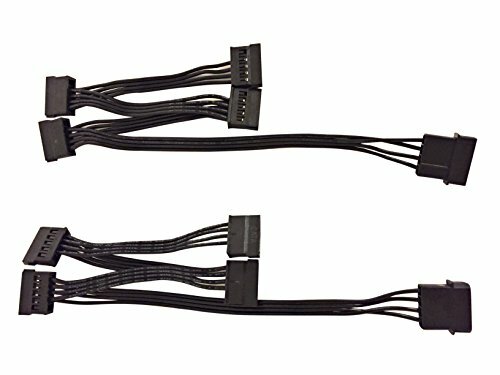 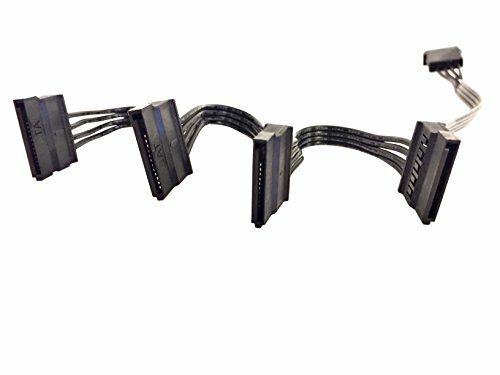 Each SATA power connector is spaced about 8cm apart allowing four drives to be easily daisy chained to the single power line.